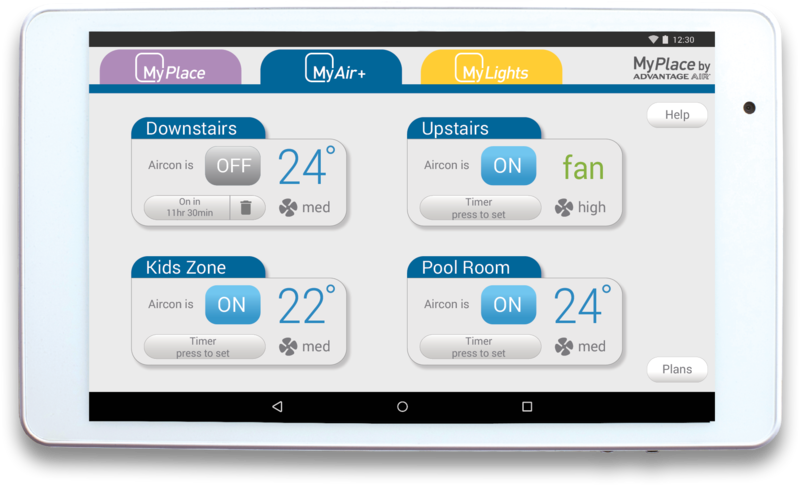 MyAir is our premium air conditioning management system with up to 10 zones and individual room air flow control and a touchscreen that is also an Android tablet. Comfort is reliability. MyAir’s quality components are made right here in Australia We design products to solve real problems and we make sure they are fun and easy-to-use. If you are building a new home, let your builder know you want MyAir, and nothing else. For existing homes, go straight to the next step. Find your local MyAir specialist who can talk to you about your specific needs. We have specialists located all around the country ready to help you now. 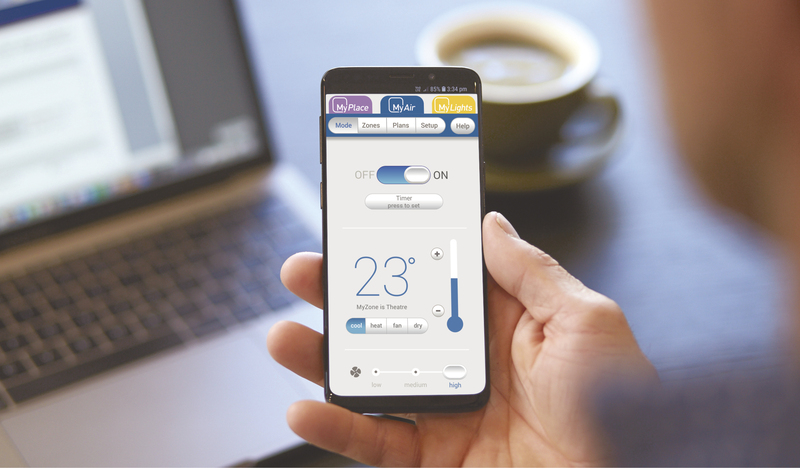 Then, once your MyAir touchscreen has been activated by your installer, follow our comprehensive user guide to get the most out of your new smart air-conditioning system. As daily life migrates online, it’s handy to have a dedicated tablet for the home. 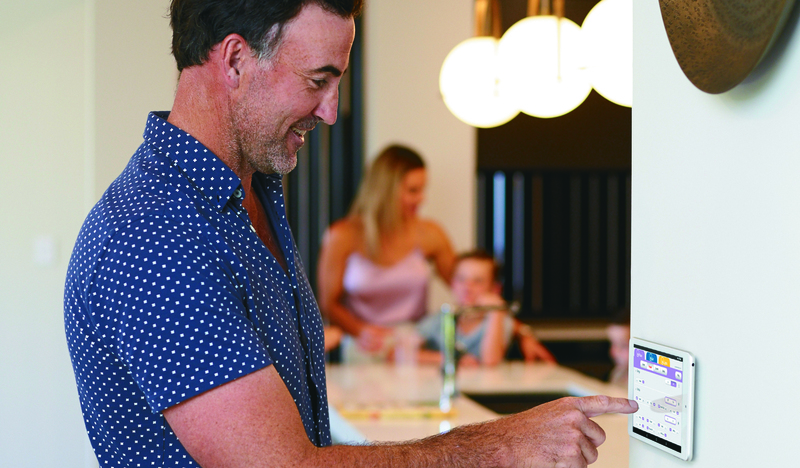 In addition to controlling MyAir, the MyPlace touchscreen doubles as an Android tablet that lets you keep track of the family’s calendar, search recipes, play music, stay in touch with loved ones and so much more … all from a centrally located hub that’s always powered and is wired to the wall so it never goes missing. MyAir comes with its own app that turns most smartphones or tablets into wireless remote controls, allowing you to control the system from the comfort of your couch, or while you are working up a sweat. The app works from anywhere your device has an Internet connection, meaning you’ll be able to access it remotely using your MyAir app from anywhere in the world. See our list of compatible phones and devices here. There are many reasons for having multiple air-conditioning units. Perhaps you live in a 2-storey home or a large home with small roof spaces? Maybe you’re on a smaller block and want to avoid noise pollution? With MyAir, you can control up to 4 air-conditioning units from your MyAir. It doesn’t matter if the units are all different makes – MyAir is compatible with all the leading brands. Every unit is displayed on the home screen, so you can see the status of each unit at a glance. You can turn each one ON or OFF directly from the home screen. To unlock the full functionality of each system, simply tap the unit name to display all your options. MyPlace can be easily added to the MyAir hub to enhance your connected home and because they’re both from Advantage Air, they work off the MyPlace smart home touchscreen and app.